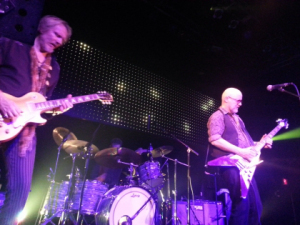 Wishbone Ash cofounder Andy Powell brought his current version of the ’70s prog-rock band to Venue last night, and Vancouver’s 45-and-over crowd was gleefully transported back to the heyday of flared jeans, eight-tracks, lemon gin–and a deathless double-album called Argus. The lineup of singer-guitarist Powell, guitarist Muddy Manninen, bassist Bob Skeat, and drummer Joseph Crabtree performed that classic 1972 LP in its entirety, the twin-guitar harmonies of tracks like “Sometime World”, “The King Will Come”, and “Warrior” bringing nostalgia-induced smiles all ’round. 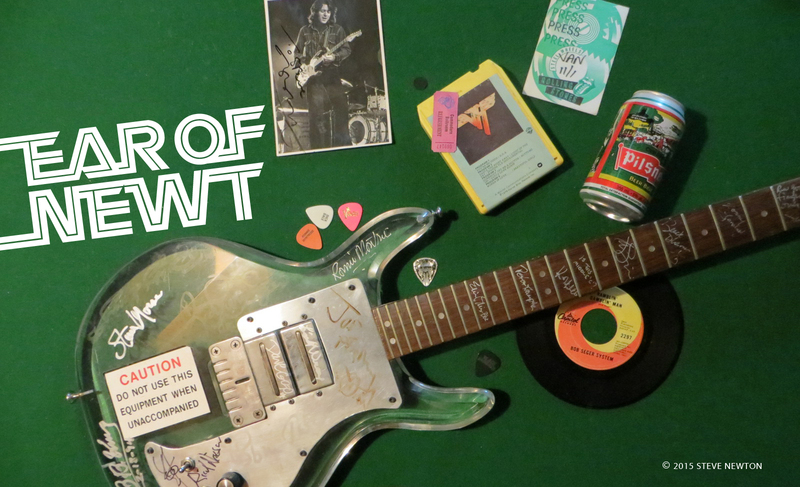 Powell wielded a Flying V guitar, the model he’s been known for since day one, while Manninen put his faith in a Les Paul Goldtop. The local sales rep for Gibson Guitars would have been mighty proud. As well as Argus, the quartet delivered tunes from its latest album, 2011’s Elegant Stealth, and ended the night with a killer encore performance of “Phoenix”, the 10 1/2-minute closing track off its self-titled 1970 debut.